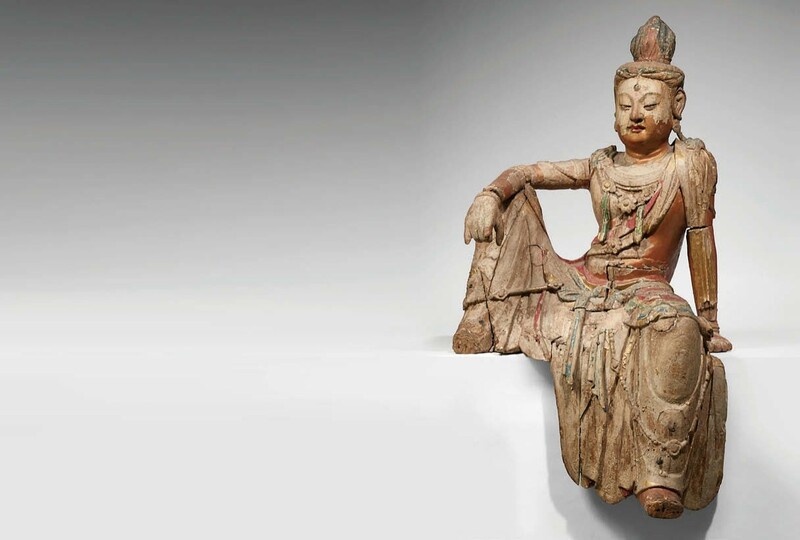 This carved wooden figure of Guanyin dating to the Song dynasty (900-1279 AD) will be the headline entry of the Asian art sale to be held by Leclère at Drouot on December 16. The carved wooden figure of Guanyin dating to the Song dynasty (900-1279 AD) offered at Leclère at Hotel Drouot with a €1.5m-2m estimate. The 3ft 4in (1m) high polychromed statue, which retains traces of the original gilding, is depicted seated in a position of rajalilsana or royal ease and comes to market from the descendants of Monsieur Raufast having been acquired in the 1960s. It is expected to make in the region of €1.5m-2m.